As a teacher Jess offers classes in Yoga, Aerial Yoga, and Aerial Dance. She teaches all ages, body types, and abilities. Contact her if you have any questions. Jess currently teaches Inner Fire Flow, Power Flow, Therapeutic Yoga, Yin Yoga and Aerial Yoga. She teaches at Inner Fire Yoga and The American Center currently. For full schedule please check calendar for dates/times. Jess currently teaches many aerial arts including Aerial Silks, Lyra (aerial hoop), Trapeze, Corde Lisse (rope), and mixed apparatus/steel. 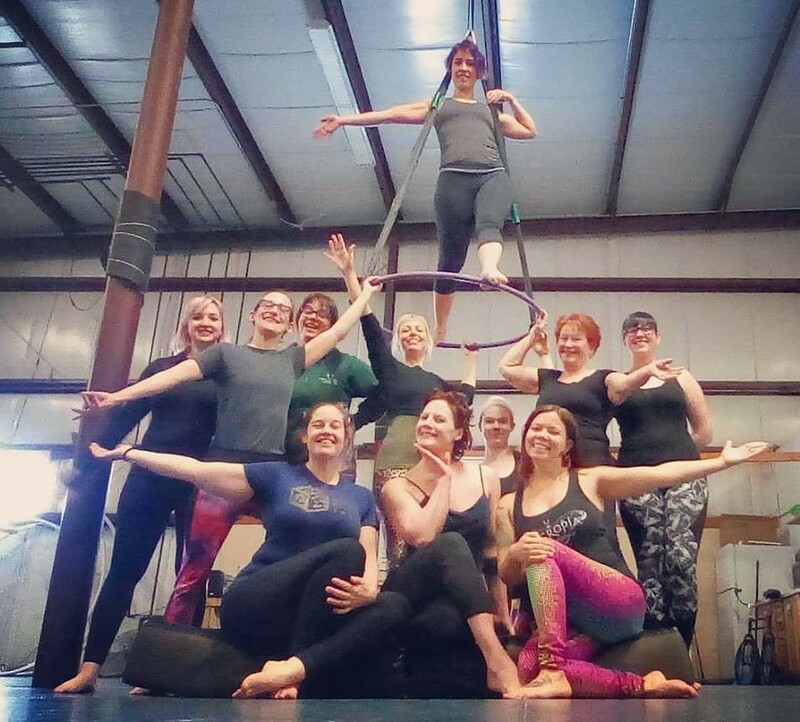 She teaches for Cycropia Aerial Dance and at Madison Circus Space. She works with students of all levels, Introduction through Advanced/Pre-Professional. For full schedule please check calendar for dates/times. Jess offers workshops for studios, organizations, and youth groups; as well as small group and private lessons for any occassion. She is happy to work with you to create the right workshop for you or your group. Please contact her to find out more. If you would like more information on current classes, or to be added to the student email list, please complete the form below. Thank you. What type of classes are you interested in learning more about?